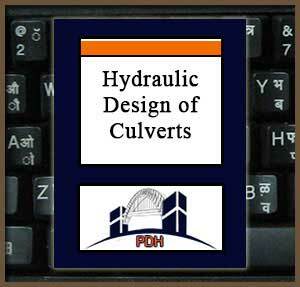 This course will introduce you to a nomographic approach to hydraulic design of culverts. Culverts are hydraulic structures intended to convey, generally, stormwater and other unanticipated flows in and around earth and other structures such as highways, bridges and buildings. A nomographic approach is one which graphically relates relevant factors in a way that facilitates solution of complex mathematical equations. Learn how to employ outlet control nomography. This course is intended for civil engineers and other design and construction professionals wanting an introduction to culvert design and hydraulics. This course will give civil engineers and other design and construction professionals an introduction to design of culverts for storm water drainage and control. This is an introduction to a nomographic approach to culvert hydraulics. This course will give you design guidance you can apply to the design of culverts to control stormwater drainage at streets, highways, buildings and other structures.